1. Combine vegetables; add salt and mix thoroughly. Let stand 12 to 18 hours in refrigerator. 3. Drain vegetables thoroughly. Add sugar, spices and garlic to vinegar; simmer 10 minutes. 4. Add vegetables; simmer 30 minutes. Bring to a boil. 5. 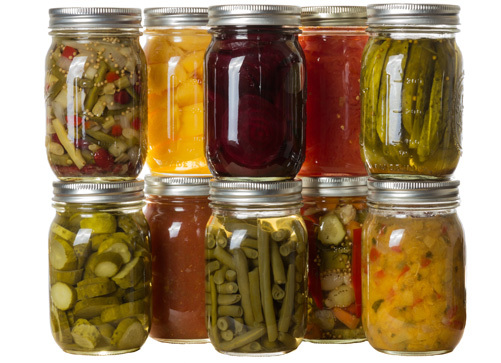 Pack hot relish into hot jars, leaving ½ inch headspace. For Curry Relish, add 2 cups raisins and 1-½ teaspoons curry powder when vegetables are added to pickling solution. Makes about 9 pints.